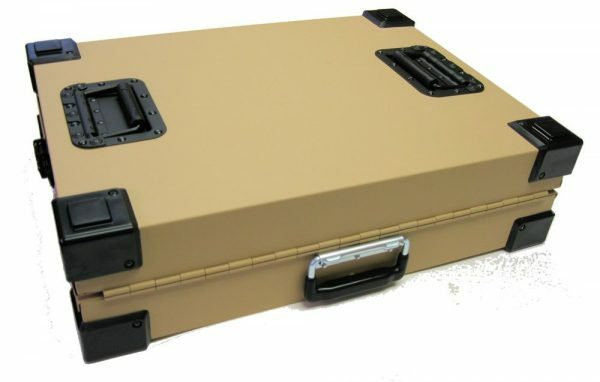 American made, safe and sturdy, heavy-duty aluminum construction, and FULLY PORTABLE! Don’t sacrifice quality for portability in your next dog crate! 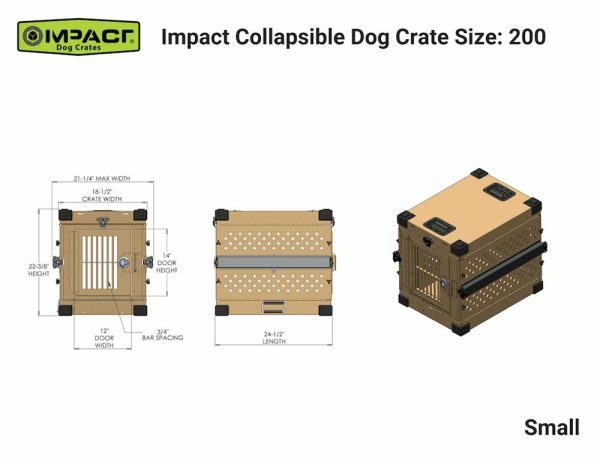 Our heavy-duty aluminum crate is American-made and conveniently collapses to less than eight inches in height for easy transportation. The durable, powder-coated aluminum construction, crush-proof corners, marine-grade stainless steel latches, welded “no-rust” rivets, and cross-bar stability make this crate very sturdy and dependable! 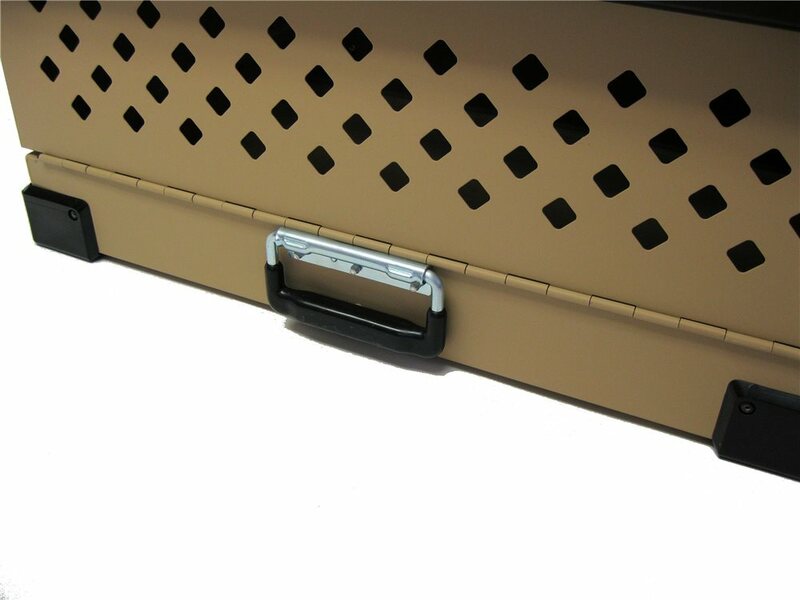 You’ll love the convenience, as this crate can be set up or taken down in seconds for easy transport. 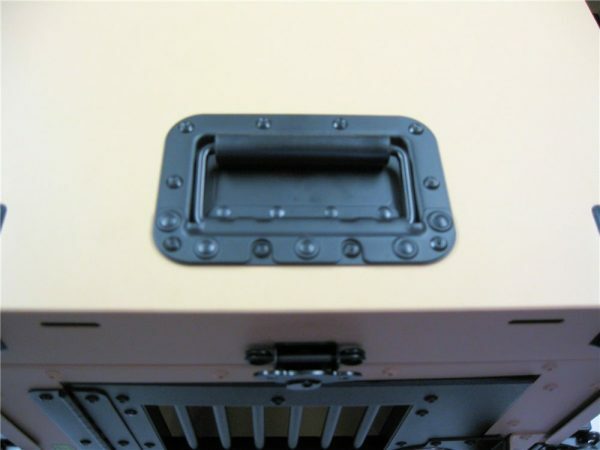 Handy drain holes allow for easy and quick cleaning. The high-quality .063 aluminum has upgraded powder-coating making this crate lightweight, but sturdy – and exceptionally corrosion resistant. 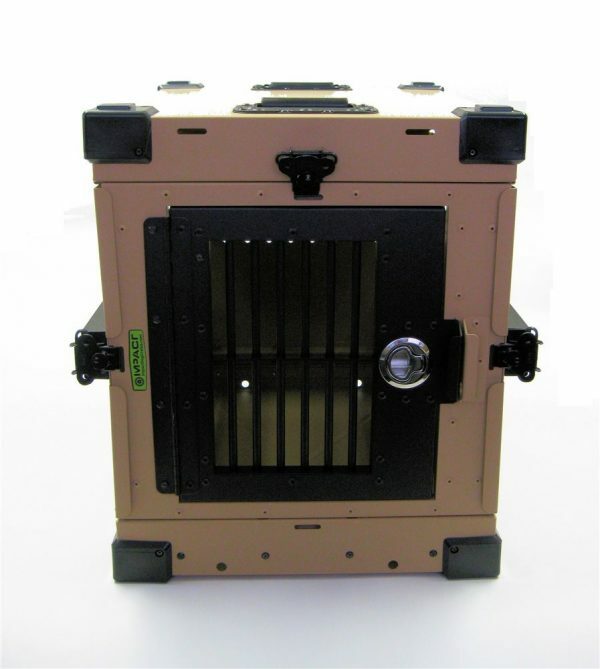 Superior flow-through ventilation on all four sides keeps your pet comfortable and safe and the taller height allows more headroom for your pet. 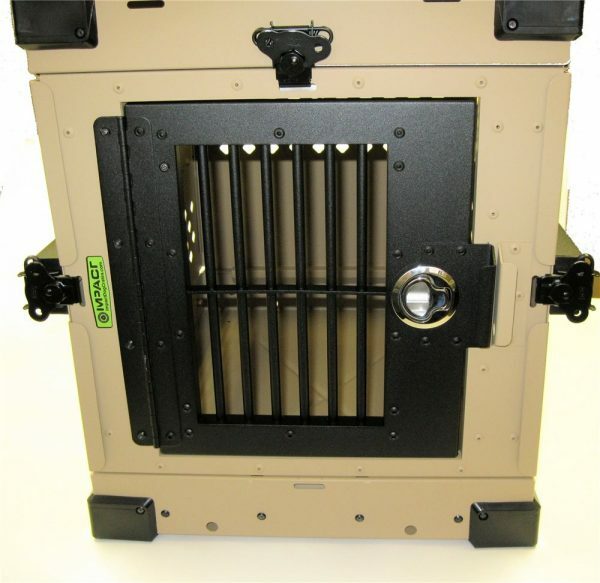 Our crate is pet friendly with absolutely no harmful toxins, chemicals, or dyes in any of the materials. 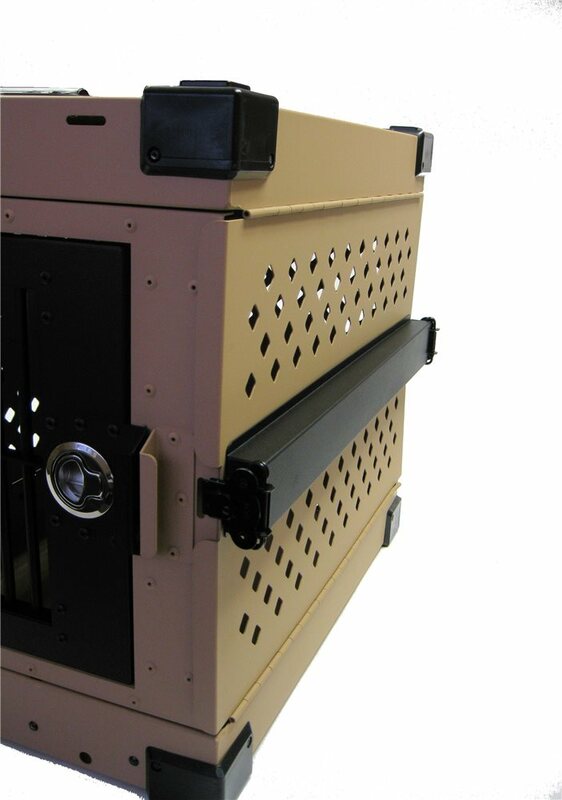 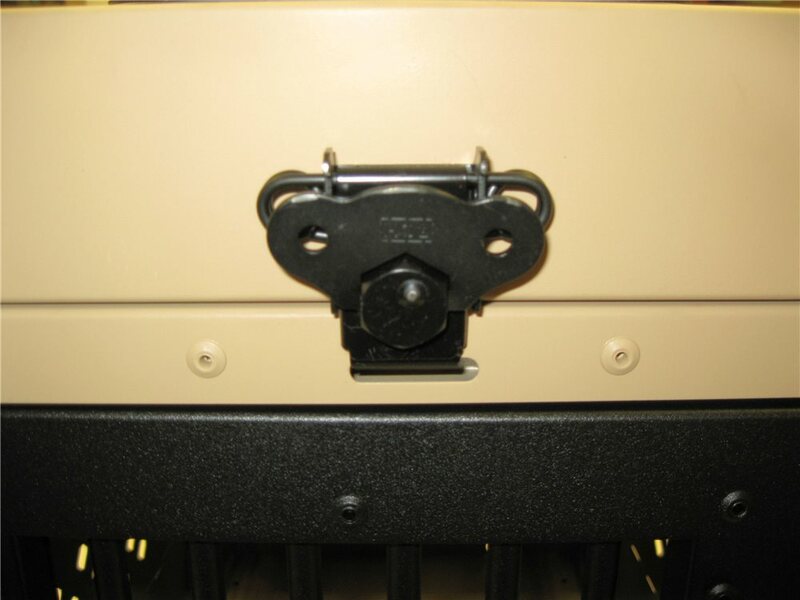 The Grain Valley Dog Supply exclusive version has a tan powder-coated finish with black door. 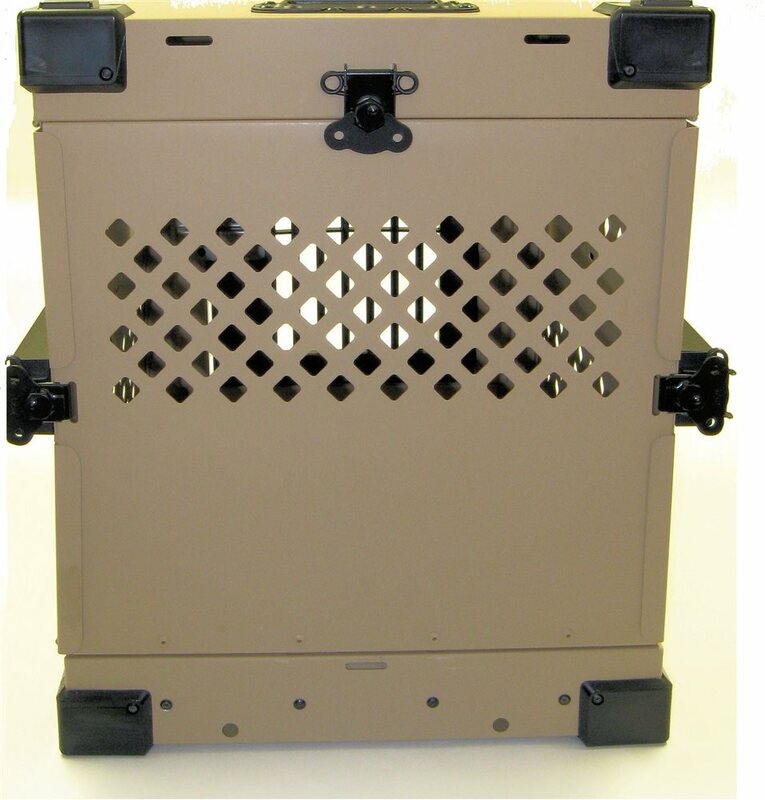 This crate not only looks great in your truck, at your home, or at your event, but the color helps reflect heat away from your animal. 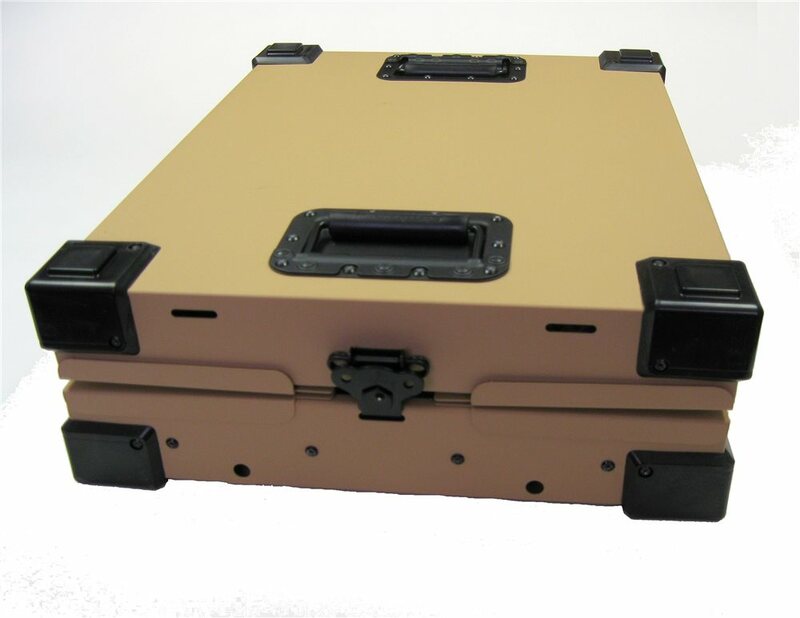 This small-sized crate has dimensions of 24.5″L x 21.25″W x 22.6“H (with airline rails attached). 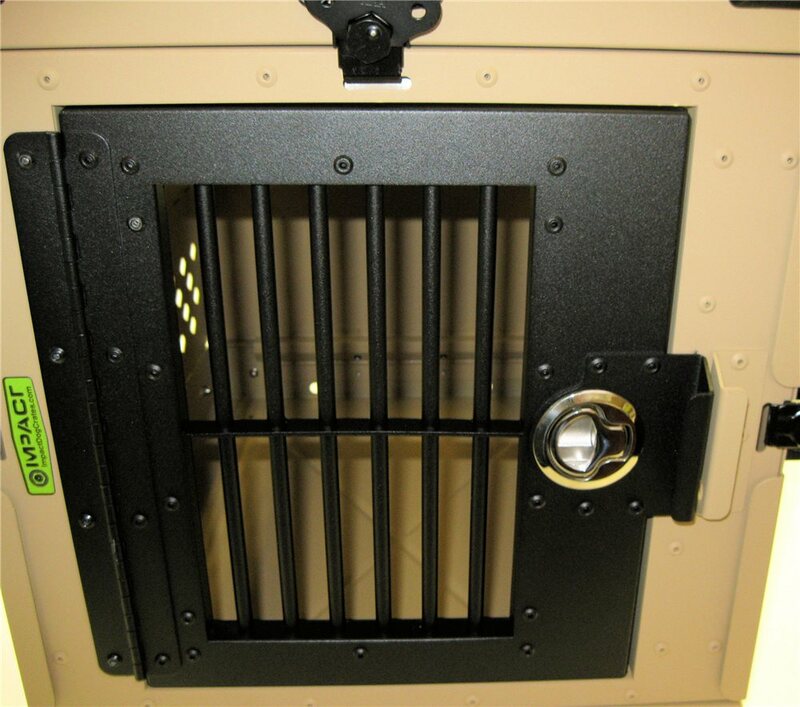 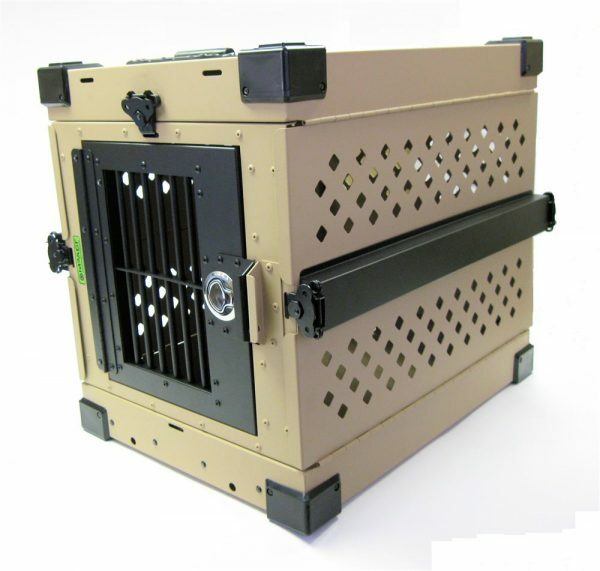 Inside crate dimensions are approximately 24″L x 21″W x 21″H and is perfect for most small breeds up to 18” tall.